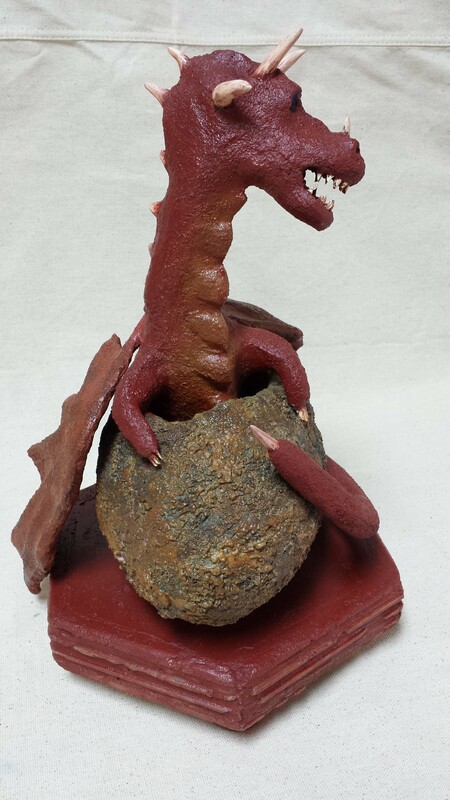 This handmade piece by Keptar is of a baby dragon emerging from his egg. 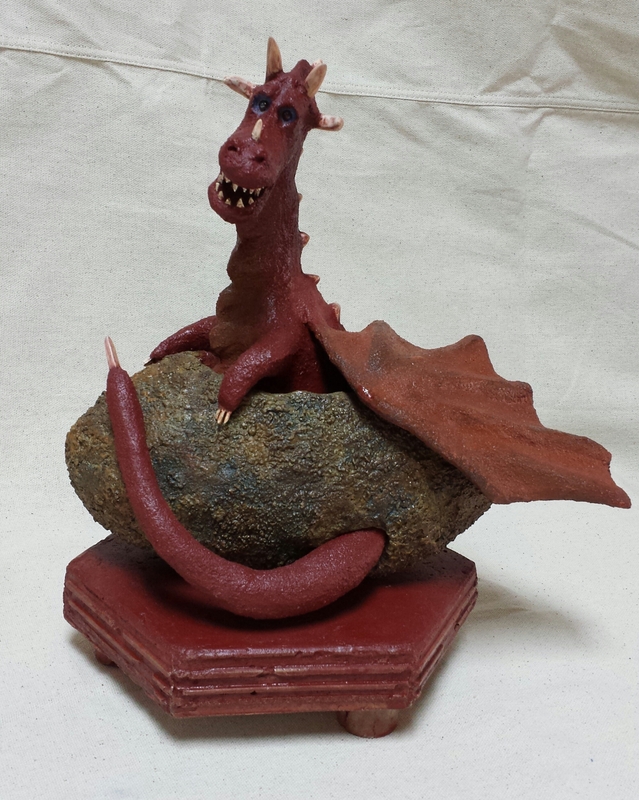 The dragon, egg and stand are one piece and wired together. The piece weighs 17 pounds 6 ounces and it's height is approximately 15 inches. 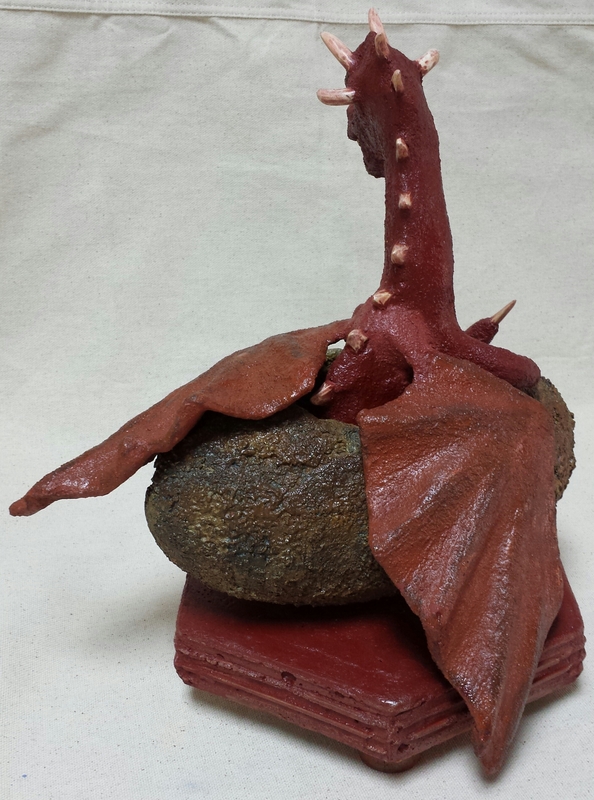 The texture of the egg is considerably rougher than the dragon and is infused with multiple colors. 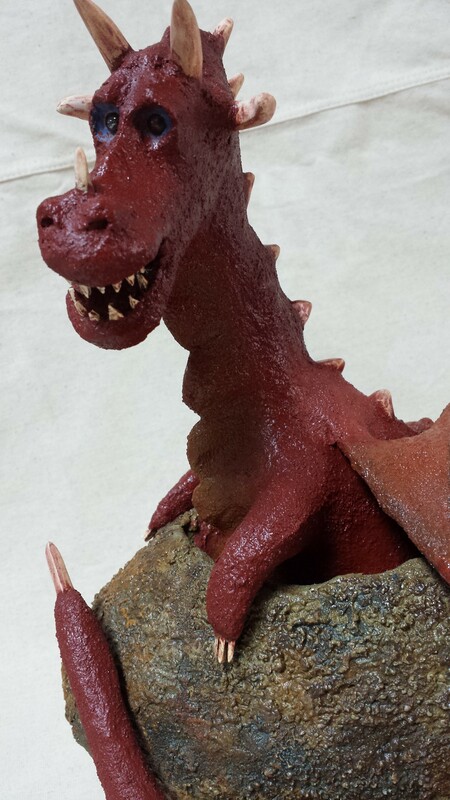 The dragon's eyes are made of hematite. Keptar put 133 hours in this piece, more than any other.